I’ll keep my usualy apologetic pre-amble short: I don’t post enough, and now that I have a YouTube channel, it’s tempting to ignore my blog and stick to video. But I feel like certain things, like individual reviews, are still much better suited to blog form… as long as I can keep them short. So my aim is to be able to provide short, clear reviews on all of the books I read this year. 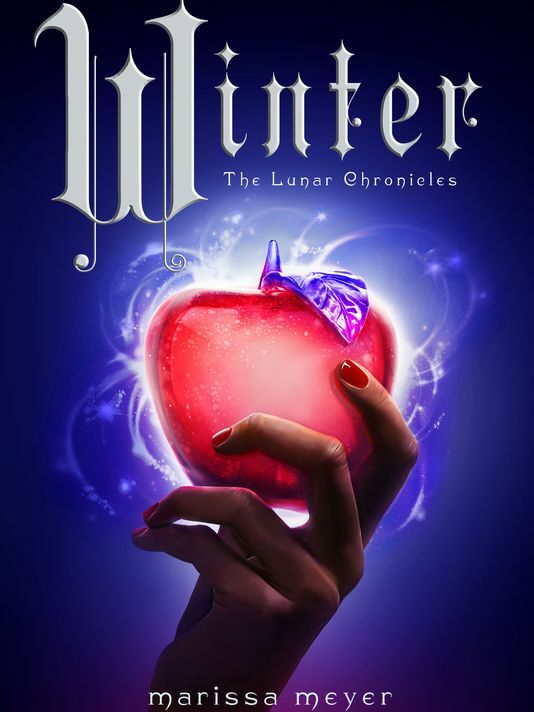 And I might as well start at the start: so the first book I finished in January was Marissa Meyer’s disappointing final entry in the Lunar Chronicles, Winter. The thing about Winter is that, on its own, it’s not a terrible book. As the final entry in the series, however, it was always destined to be a messy disappointment. Why? Allow me to resort to a listicle to explain. I get the feeling that Marissa Meyer pitched The Lunar Chronicles around the time that Buzzfeed was making its name with the “Which Disney Princess Zombie Are You?” quiz, and so a sci-fi dystopian Disney princess book series with a Sailor Moon twist must’ve seemed like a sure bet to any publisher. And, to be fair, when Cinder debuted in 2011, it did offer a lot of fun updates to the original story. Cinder was an android Chinese woman from the moon who could fix robots and control people’s minds (not that she knew it at the time). She traded soot for grease and a bionic foot for a glass slipper. It was fun, it was cute, it was an easy read. But then we hit Scarlet and I already felt the problems start: I didn’t really care about Scarlet, and introducing a brand-new character was cutting into the main plot that I was already heavily invested in. I didn’t really want to hear about Scarlet’s grandmother, I just wanted to know what was going on with Cinder. Cress only made that problem worse. And by the time you hit Winter, the different stories and characters and worlds start to overflow. There isn’t enough time for Meyer to both investigate a new character, keep you abreast of all of the other characters, and keep the momentum of the main story going. It’s just too many spinning plates. You can also feel that Meyer is having to desperately shoehorn in bits of Snow White’s original plot line just to justify having Winter there at all, but as a character she never really matters. This concept of a group of space-age Disney princesses coming together like the Sailor Scouts might have worked better if each book was its own story, with some vague references to the other characters but still maintaining its own unique world. But as it stood, you wound up with a handful of poorly-drawn characters who kept getting more and more watered-down to accommodate the original pitch. Maybe I’m too old and cranky to enjoy a YA romance at this point, but I felt like all of the romances were too cookie-cutter perfect. Everybody had their special person, everybody had some barrier keeping them from their special person, everyone is slightly shy and insecure, and everyone just needs that special person to bring them out of their shell, etc. etc. If the romances had felt different, I might be less cranky, but otherwise all of the (straight, cis) relationships were the same relationship replicated across 3 different couples, none of whom ever seemed to genuinely be in peril of not “happening.” Thorne and Cress were probably slightly better than the others. Slightly. Thorne and Cress were probably slightly better than the others. Slightly. I wanted to see this series play with the genre more than it did, or to give me more time with any of its individual characters. What’s interesting is that after the initially promising premise of a Chinese mechanic Cinderella, the politics of “who’s the most beautiful in the land” are ultimately no more progressive than they were 50 or 100 years ago. It’s still about being pretty. It’s still about fitting into a cute dress. It’s still about winning the love of a prince. And that’s pretty disappointing given what it could have been instead. Here’s where we get into slightly dangerous spoiler territory, but somewhere near the end of Winter it tried to become The Hunger Games, and it really doesn’t work. Killing off a character we’ve only just met is not going to land a particularly satisfying punch to a reader’s gut. And when you never really believe that the lead character won’t win, it’s hard to care about the evil plot against her. That said, it was a little morally odd that Cinder effectively guns down a bunch of guards and the book doesn’t bat an eye at her mass-murder. But maybe I misread that scene. I’m not even sure I know what happened, but it felt extremely rushed and convenient, no? There were certainly things to like in Winter as an individual story, but I feel I have to evaluate it as the end of a series rather than its own book. I wanted to know more about Winter, just as I wanted to know more about all of the characters. But at the end of the day, this felt like a very messy finish to a disappointing series.